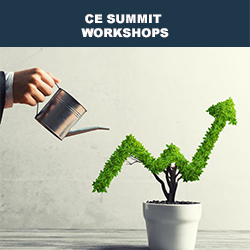 Health transition planning is an emerging trend, to be discussed in May at the CE Summits tour with special guest expert Karen Henderson. One way advisors can help is to keep an eye on recent tax issues for disabled Canadians – particularly those with diabetes. These taxpayers have struggled to access and retain two important government benefits, The Disability Tax Credit (DTC) and Registered Disability Savings Plan (RDSP). Fortunately, the taxpayer revolt around the retroactive change to claiming the DTC by diabetics largely paid off. Recall two years ago, when the government found itself in hot water when it rejected the Disability Tax Credit (DTC) claims for a significant number of Canadians living with diabetes who had previously been accessing the benefit. The CRA stated that the majority of diabetics shouldn’t qualify for the credit. Why? Their claim was that insulin administration shouldn’t take the 14-hours a week as required to qualify under life sustaining therapy provisions, due to advancements in medicine and technology. Despite this, in July of 2018 60% of taxpayers won back their rights, though receiving their refunds was anticipated to take up to 30-weeks. That’s a long time to wait to get money back – especially by those who rely on it to help with medical expenses! Although most affected should have now received their refunds, those still waiting may need to request an intervention from a tax pro, who can also help with claims for the DTC and new savings opportunities under the RDSP. Accessing the DTC and RDSP programs is an already complex process. Qualification for the DTC, which is claimed on the tax return, entitles those eligible to become a beneficiary under an RDSP. The RDSP is a tax deferred private pension accumulation opportunity with government-funded grants and bonds attached). However, first qualifying for the DTC itself can be challenging, as it first entails getting a signed T2201 form from a medical or nurse practitioner. The length of time an individual qualifies for the DTC is then subject to the CRA’s internal policies. They may grant the credit for one-year periods, requiring re-application each year. Or they may provide it for set periods of time, or even permanently. Currently, if an individual with an RDSP becomes DTC-ineligible, even short-term, the RDSP must be closed by the end of the year following the first full year during which the beneficiary is not eligible for the DTC. No Canada Disability Savings Grants and Canada Disability Savings Bonds may be paid into the RDSP. For 2021 and subsequent taxation years, Budget 2019 proposes to remove the existing time limitation on the period that an RDSP may remain open after its beneficiary becomes DTC-ineligible. Budget 2019 also proposes to eliminate the requirement for a licensed medical doctor or nurse practitioner to certify in writing that the beneficiary is likely to become DTC-eligible in future in order for the plan to remain open. A transitional rule will ensure that an RDSP issuer will not be required to terminate an RDSP after March 18, 2019 and before 2021 solely because the RDSP beneficiary became DTC-ineligible. These changes, if implemented, could play an important role in continuity planning. Both the DTC and RDSP can provide seniors with needed income streams that factor into their budgets, for financial planning, long-term care, and other health-related costs. This makes tax season an important time for advisors to revisit tax and financial planning strategies with disabled clients, and to get up-to-speed on the proposed changes, which the government anticipates having in place by 2020. According to the Parliamentary Budget Officer, this expansion will come at a cost of $48 million. Additional educational resources: To learn more, attend Knowledge Bureau’s Education Days this spring in any of four Canadian cities. Special guest speaker, Karen Henderson, an expert in integrating problems of the healthcare system with planning for long-term illnesses will discuss how tax and financial advisors play an important role in this process. Be sure to register by May 15!